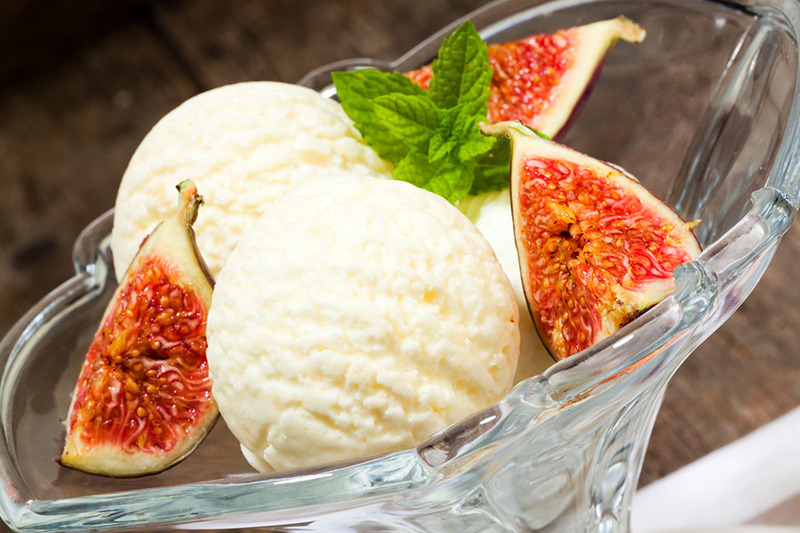 Place a small scoop of ice cream on a dessert plate. Arrange 2-3 fig pieces and some blueberries on the plate. Drizzle with the balsamic vinegar. Garnish with fresh mint.